Hi! My name is Marie, and I am a Zebra. Some of you may be asking yourselves, “Why zebra?” Well, in medicine, a zebra refers to a very unlikely diagnosis. It comes from an old saying they used to teach medical students about how to think about medical cases that came to them. The saying went, “When you hear hoof beats, think of horses, not zebras.” Doctors are taught to assume medical conditions they see on a daily basis will be typical, or common conditions. They do not instantly think of ‘zebras’ when they meet with you for the first time. That is why it takes so long for some people with rare medical diagnoses to obtain an accurate diagnosis. Some ‘zebras’ wait for years before they get answers. Imagine suffering with an unknown medical condition for years with no answers, no help, and no support from the medical community. That is what ‘zebras’ do on a regular basis. 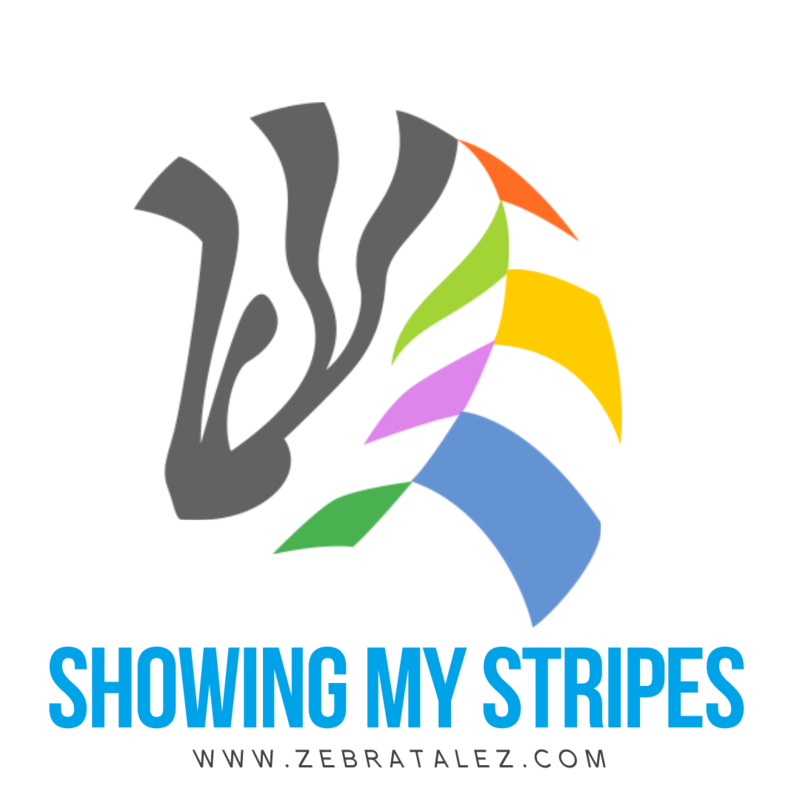 Here is my zebra story. I was a healthy, happy young child. Growing up I was a tomboy; I loved playing sports, climbing trees, camping, hiking, and pretty much anything that had to do with being outside. As a young teenager I was a runner. I ran cross-country in the seventh and eighth grades, and as a freshman in high school I ran cross-country and track. Sophomore year came and I was beginning to fall behind on my cross-country team. I ran varsity, and many of the JV runners were beating my times. I just couldn’t get the strength or energy to keep up. I was in pain every day, and I didn’t know what was wrong. I ended up pulling myself from the varsity team, and after that season I never ran competitively again. My parents took me to see so many doctors who had no idea what they were looking at. I was told I was faking everything to get attention. I was told I was crazy. My parents were told to send me to counseling. Eventually, I was diagnosed with Fibromyalgia, but even then I did not feel like that was quite right. It didn’t fit, not exactly. Most doctors just brushed me off and told me I was too young to be feeling that way. I was told I “didn’t look sick”, and must be making up most of the complaints I had. Most ‘zebras’ will understand exactly what this process looks like because they too experienced similar events in their lives. When doctors are faced with something they cannot understand, they tend to become defensive and place the blame on the patient. I went on as well as I could, and finally graduated high school. I went to college, and by that time I was using a wheelchair for the majority of the time because I could not handle walking for long distances. Attending college with a chronic illness is tough, especially when you don’t know what you are dealing with, and have little support. I graduated with my degree in Social Work, and I then had to make a decision. Would I be able to work, and pass as an able-bodied person, or do I disclose my unknown illness to my employer? I chose to muscle through and not disclose my struggles with my employer. In hindsight I see that was the wrong decision. I struggled for so many years because of that choice. Finally, in 2013, new symptoms arose and I could hide it no more. I had to go back to the medical community for help. Again, I saw many doctors and underwent multiple tests, but the end result was the same. “There is nothing wrong with you. You should see a psychiatrist.” I persisted, and finally I found a doctor who suggested a possible mitochondrial disorder, and he sent me to the doctor who changed my life. I was sent to the Indiana University Molecular Genetics department to meet my genetics doctor. He took down an extensive history and ran some tests. Finally, I was diagnosed with a rare metabolic disorder called 3-Methylglutaconic Aciduria with Mitochondrial Dysfunction. I had an answer. At the age of 31- after 15 years of searching and suffering- I had an answer. Now that I know what I am dealing with, I have to learn how to manage it. My symptoms have progressed since high school, and they continue to change on a regular basis. I still struggle daily with learning how to handle this rare condition, but it gives me some comfort to know what I am faced with, and that after all these years of being told I was “making it all up”, I finally have some validation for what I go through on a daily basis. I started this blog to help get my thoughts out, and hopefully help others who are struggling with a disability or rare disease. Please feel free to share, comment on, and ‘like’ anything you wish. You can also follow me on Facebook, Instagram, and Twitter.